We left Tucson May 9th, heading for Alaska. The plan is to stop in Bigfork, MT and then to Kamloops, BC to see the area and do some fly fishing on the lakes around there. These lakes are famous for their trout fishing, especially starting in May. Ted's brother and his wife are going to meet us there and he will join Ted fishing. 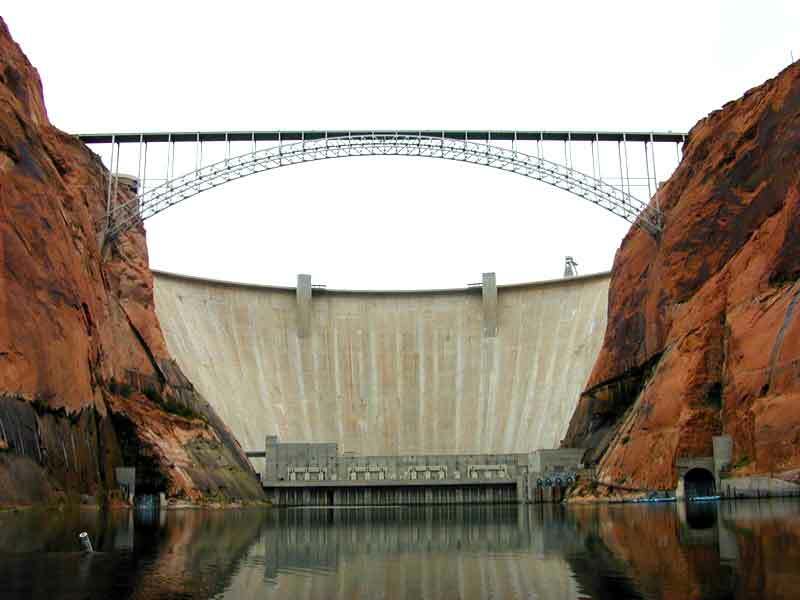 Our first overnight was in Page, AZ, a town that was created during the construction of Glen Canyon Dam. We have enjoyed this area several times in the past. There are many things to do and see around here other than the dam and Lake Powell. One of these is the first fifteen miles of the Colorado River below the dam. 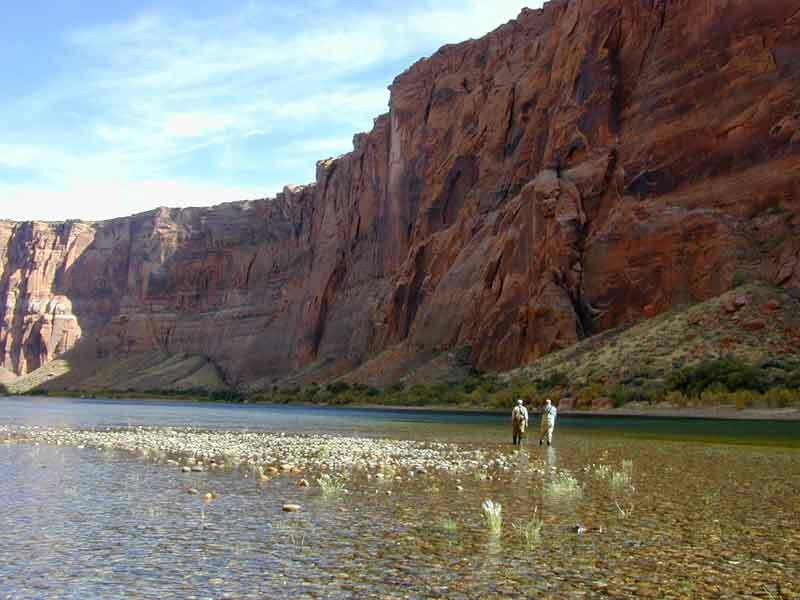 This stretch is know as Marble Canyon and is both a unique sight and a world renowned rainbow trout fishery. 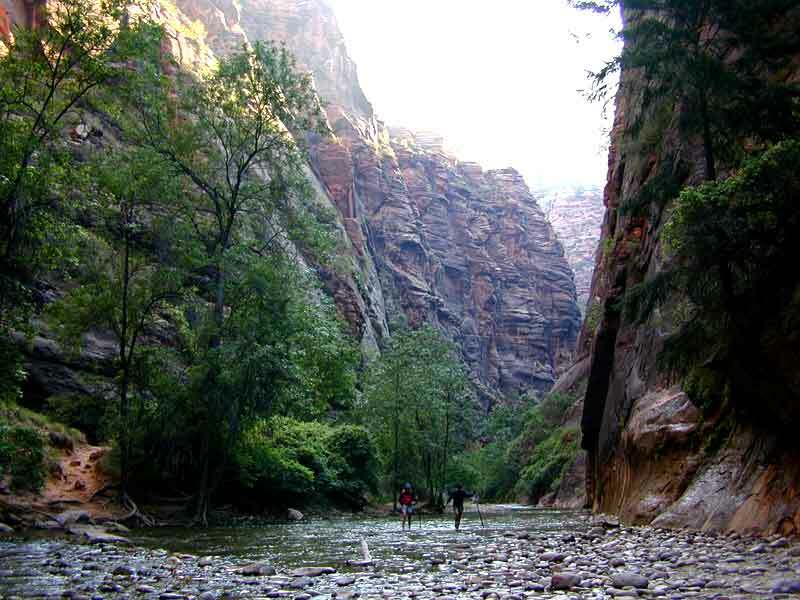 The red rock cliffs rise 1500 feet in some places and are something that is worth the effort to see. Access is via boat from Lee's Ferry. Slot canyons are tall narrow slots cut into the sandstone by water and wind. 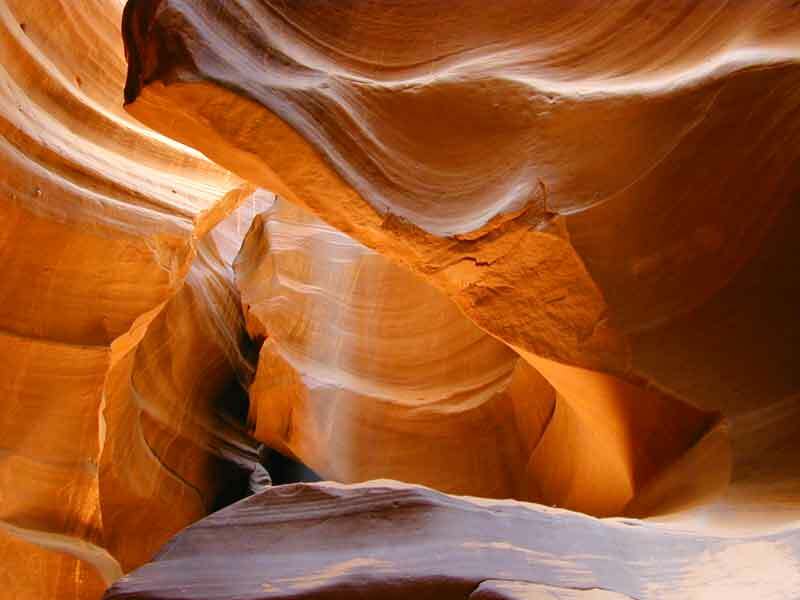 You have probably seen the pictures that come out of these canyons, especially Antelope Canyon, near Page. If you go to Page you can take a guided tour of this and other slot canyons and make your own pictures. Hint: If you are using a digital camera, play with the white balance until you get the shot that you are looking for. 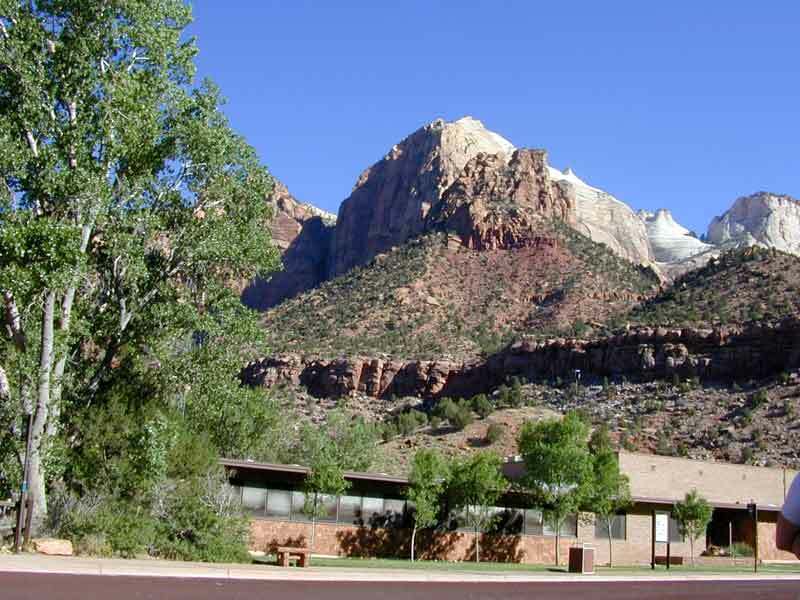 Heading north from page, up Hwy 89 through Kanab, you will pass two National Parks that are must see destinations. These are Zion and Bryce. Zion is the first and is to the west of 89. Beautiful but cold. 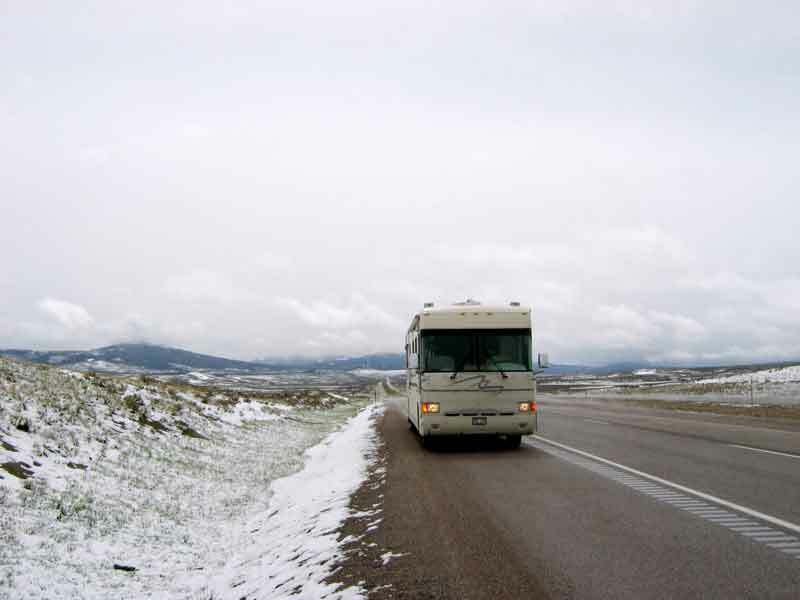 This is what it looked like as we crossed the Continental Divide in Montana. 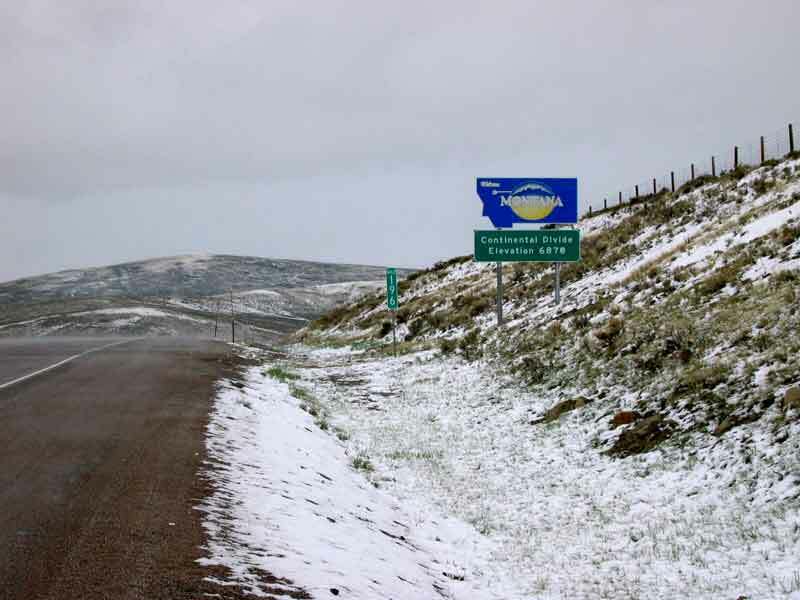 Seems like it is going to be cold with intermittent rain/snow for the next few days and it might follow us into Kamloops, BC.